I originally received my seed for this variety from the Seed Savers Exchange Yearbook. Paquebot Roma’s history is a little ambiguous. I am not sure of the parentage, but I believe it’s probably an heirloom and am quite sure it is open-pollinated. This is my third year for saving seed and I have not seen any changes in the variety. This last fall, I did have one plant that produced fruit twice the size as the others. I dubbed this “sport” Super Paquebot Roma, and plan to grow it out separately next year. Overall I am very impressed with this paste tomato. 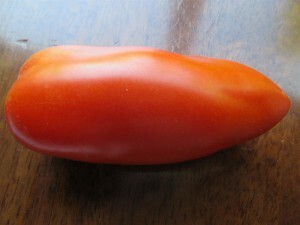 It has many of the same characteristics of the common grocery store “roma” tomatoes. It is large, meaty, and has few seeds. 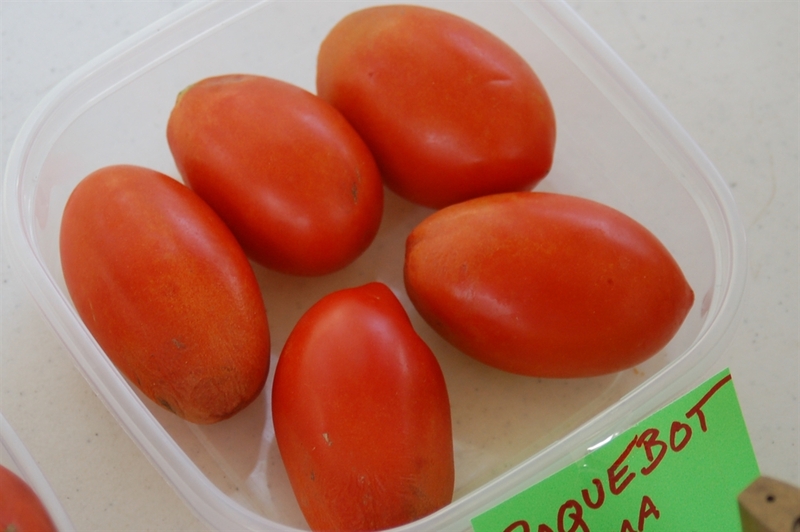 What is different about Paquebot is that it has great flavor! Rich with a bit of acidy tang. 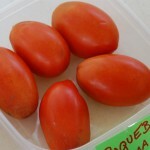 It is an excellent processing tomato and makes superb sauce. Paquebots are also delicious fresh as a slicer or utilized in fresh salsa. 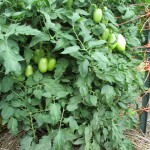 The plants are bushy and somewhat compact with the fruit tucked up inside, close to the main stem. Paquebot has proved to be a reliable producer with the only drawback being its lateness. 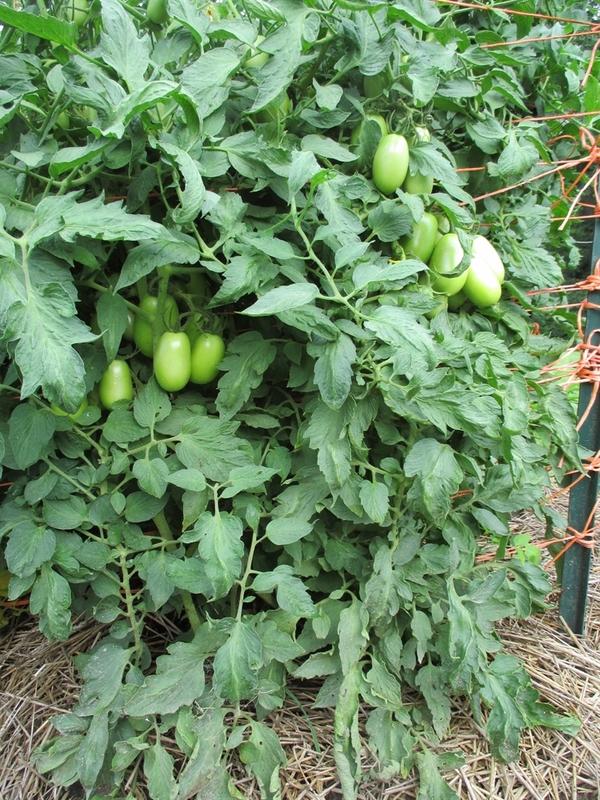 The fruit is harvested over a much longer period of time than common “roma” tomatoes, and the ripe fruits hang on the plant rather than dropping to the ground. The fruits are red, firm and about 4″ long. 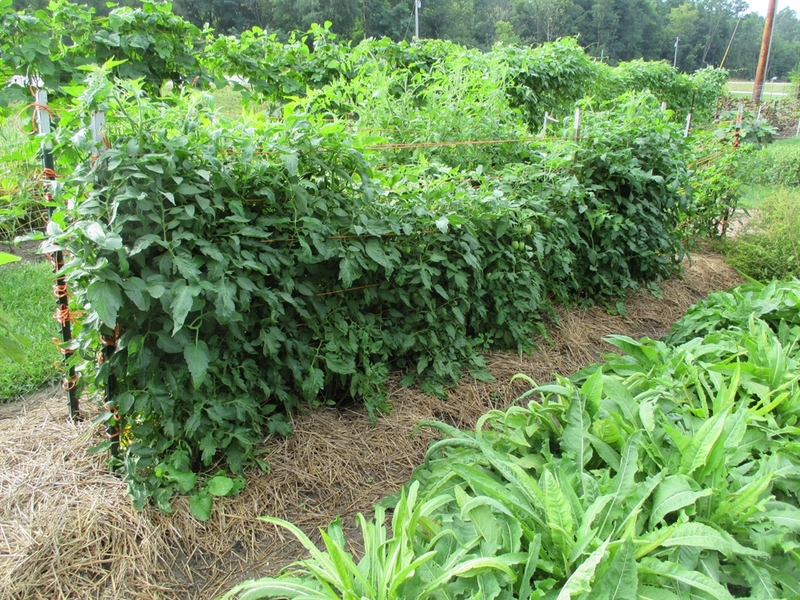 *This variety exhibits a lot of diversity of shape and size. 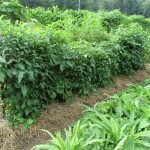 Seed Saving: Isolate varieties of L. lycopersicum 50′ for home use, 75′-150′ for pure seed.